When you borrow money to buy a car, your auto loan isn’t a life sentence. You can potentially save money with a better loan, so it’s always worth evaluating whether or not refinancing makes sense. You do not need to wait any minimum amount of time before refinancing your car loan. You just have to meet all the requirements for the new loan in order to refinance. You can refinance immediately after buying—even before you make your first monthly payment. Just be sure that you actually end up with a better deal and that refinancing doesn’t cause you to pay more for your vehicle. In some cases, you may be unable to refinance until you have documentation from your state’s Division of Motor Vehicles (DMV). Getting registration details may slow you down slightly. If you can borrow at a lower interest rate, it might make sense to refinance. That lower rate (assuming all other things are equal) means you pay less for your car after you take all of your borrowing costs account. Because the interest rate is also part of your monthly payment calculation, your required payment should also decrease. As a result, your monthly cash flow becomes easier to manage. When you can replace your existing loan at a lower rate, it’s best to refinance as early as possible. Most auto loans are amortizing loans, which means you pay a fixed monthly payment with interest costs built into the payment. Over time, you pay down your debt, but most of your interest cost is paid at the beginning of the loan—so get that rate down sooner than later to start cutting costs. An amortization table can show you exactly how much you can save by refinancing. Refinancing can lead to lower monthly payments, but that’s not always a good thing. If you get lower payments as a result of a lower interest rate, you may end up saving money (as long as you refinance at the beginning of your loan period). But if you wait several years before refinancing, you restart the interest cycle and amortization process described above, and you pay interest for several more years. That can end up costing more, even though your payments are easier to handle. If your credit has improved since you got your existing loan, you may be able to get a better loan. You can qualify for a lower rate, lock in a low fixed rate, or possibly even remove a cosigner from the loan. Your credit improves when you make on-time loan payments (or when negative items fall off your credit reports after seven years or more). Those successful payments can raise your credit scores to the point where you have more borrowing options. Even one year is enough time to see improvement—so it’s worth finding out if your scores have risen enough to qualify you for a better loan. Refinancing might be tempting, but it’s easy to end up spending more money than you need to. Avoid the most common pitfalls—especially if you only have a few years left on your auto loan. Stretching it out: A longer-term loan usually means you pay more for your car. It might be tempting to switch from a 48-month loan to a 72-month loan, but you typically pay more interest over the life of that longer loan than if you leave things as they are. Longer terms lead to lower payments—which can provide meaningful relief when cash flow is limited. But the overall cost of a long-term loan is higher (that’s counterintuitive since you see a lower payment). Again, an amortization table can show you how your interest costs add up over time. Going upside-down: Extending the life of your loan also leads to your loan being upside-down. Put another way, you may owe more on your car than it is worth. To get rid of the car, you would have to write a check to your lender or keep making payments on a vehicle you don’t use anymore. You’re required to keep making payments (to avoid damage to your credit) even if your car breaks down and becomes useless. It’s best to pay off loans quickly so that you can easily sell (and possibly buy a different, inexpensive car) if the need arises. 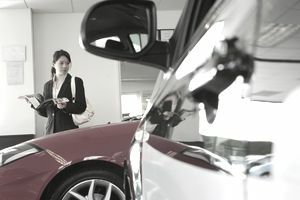 Prepayment penalties: Although rare with most auto loans these days, prepayment penalties still exist (prepayment fees occur if you pay the loan off before the term is up). Make sure it won’t cost extra to pay off your existing loan early. Penalties can eat up any savings you get from a lower interest rate. Waiting too long to refinance: If you run the numbers and you determine that it makes sense to refinance, waiting can cost you. Rates are typically lowest on new vehicles, and some lenders won’t refinance loans for cars over a certain age (seven years, for example). You might even get a “new car” rate if you refinance immediately after buying from a dealer and taking advantage of dealer incentives. Used car loan rates are typically higher than new car rates. Missing payments: Stay involved during the refinancing process, and don’t assume anything is completed. You might think your existing loan has been paid off and you can stop sending payments, but any delay in the process can result in a “missed” payment. Any late payments will hurt your credit and your ability to refinance. Confirm with both lenders before you stop making payments. To get a new loan, you need to apply with a new lender. In most cases, the process is relatively painless—your lenders work together to handle the logistics, and you just need to submit an application. Gather information about your existing loan. The most recent statement from your lender should have those details. Get information about your vehicle (if you won’t have the vehicle with you). Your VIN, make, model, and year will all be helpful to have on hand. Prepare proof of income so that lenders can verify that you have the ability to repay your new loan. Several recent paystubs should be sufficient, but check with your new lender for details. Submit your application, along with any required documentation, and respond to any lender questions. Most lenders can give you an answer on the same day you apply, but some institutions might need a day or two to review your application. Any lender with competitive rates and fees is worth a look. For many borrowers, a local bank or small credit union is a great option. Those institutions tend to offer low rates, and they’re often more flexible about loan size and credit issues. Online lenders are another good source. You can take care of everything whenever and wherever is most convenient, and you can find excellent rates online. Get rates from at least three lenders, and do all of your shopping within a few weeks. When lenders make inquiries into your credit, your credit scores fall slightly. Numerous inquiries become a problem over time, but you’re not penalized for shopping rates—just submit all of your applications within 14 to 30 days.